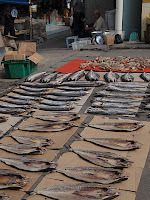 With an hour to kill before the drive to the airport, I wandered through the stalls near the Filipino market close to the hotel. 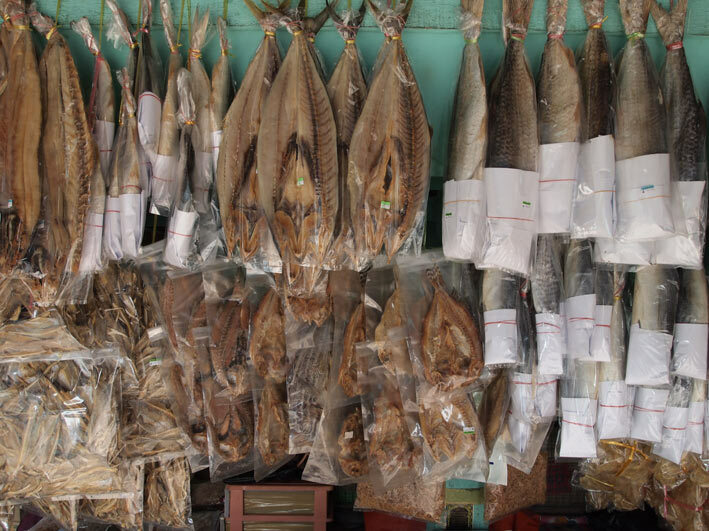 I have encountered a few smells around the world, but the stench b ehind the food markets was one of the most memorable – an overpowering blend of warm sewage, dried fish, meat and general market odours. 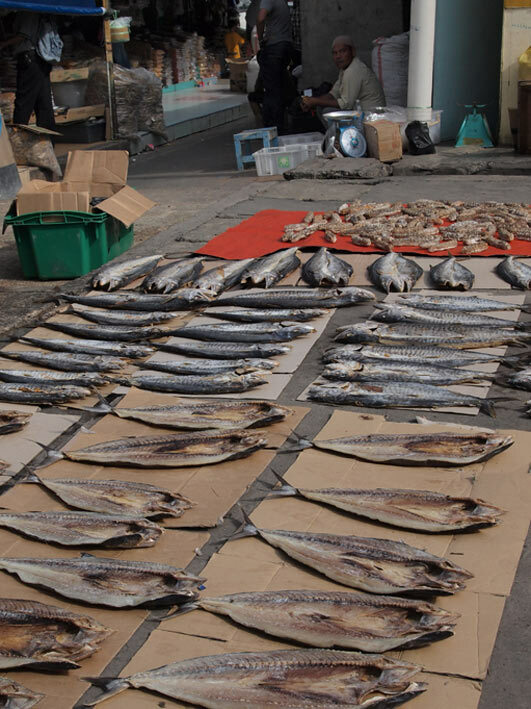 Bits of cardboard were laid on the ground covered with split fish, squid and sea cucumbers drying in the sun. When dry, the fish is wrapped in cellophane to be hung on overcrowded fish stalls in the covered part of the market. Further along, I noticed a customer sorting through an enormous pile of chicken pieces with her bare hands like it was a jumble sale. With market aromas still in my nostrils, I headed for the airport for flight five of five from Sabah to Singapore.